Okay, so I’m probably just stating the obvious. 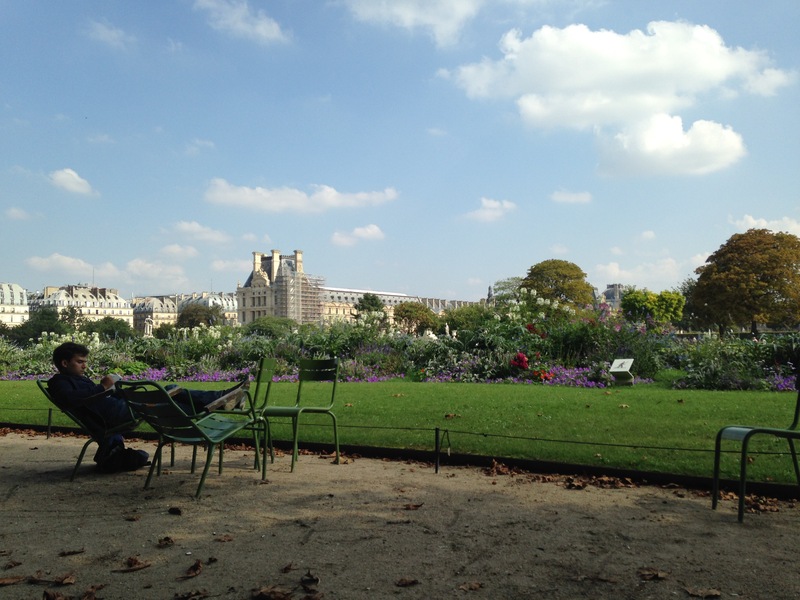 But after our first full day here, I can say with confidence, that Paris is pretty amazing. 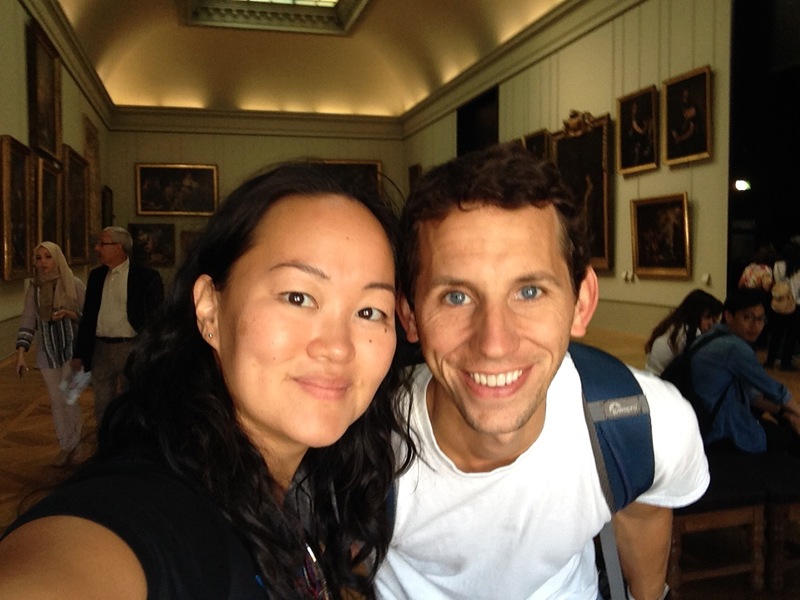 We started out with a morning at the Louvre, which is the largest museum not only in Paris, but in the world. Some people, who aren’t museum fans would hear that and cringe. But we are not those people because we love museums so we were super excited. Funny enough, we took our skip the line tickets right over to the big line on the left. But amazingly, it went by crazy fast whereas the regular line on the right hardly seemed to move. 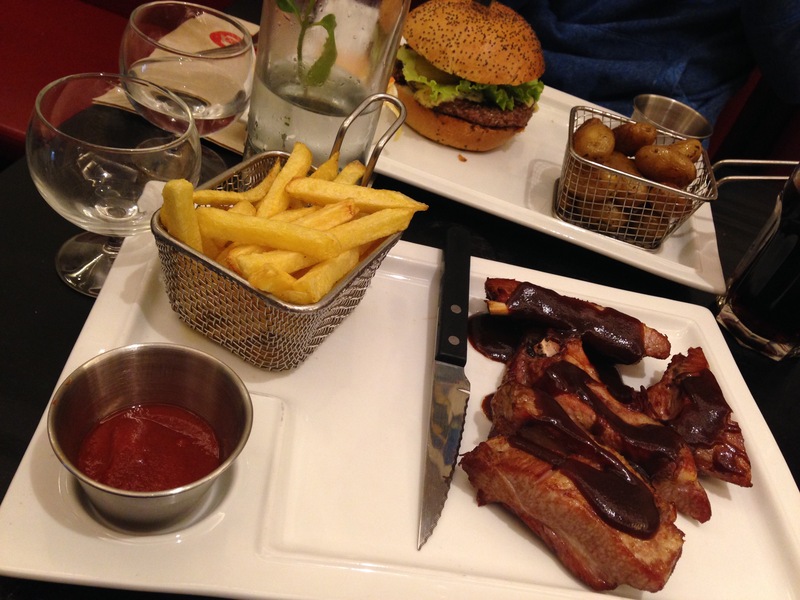 It was totally worth the few extra euros that we paid. From inside the museum, and while waiting for Jeremy to grab a map I learned that a tiny man works hard to clean all of those beautiful clear glass windows. 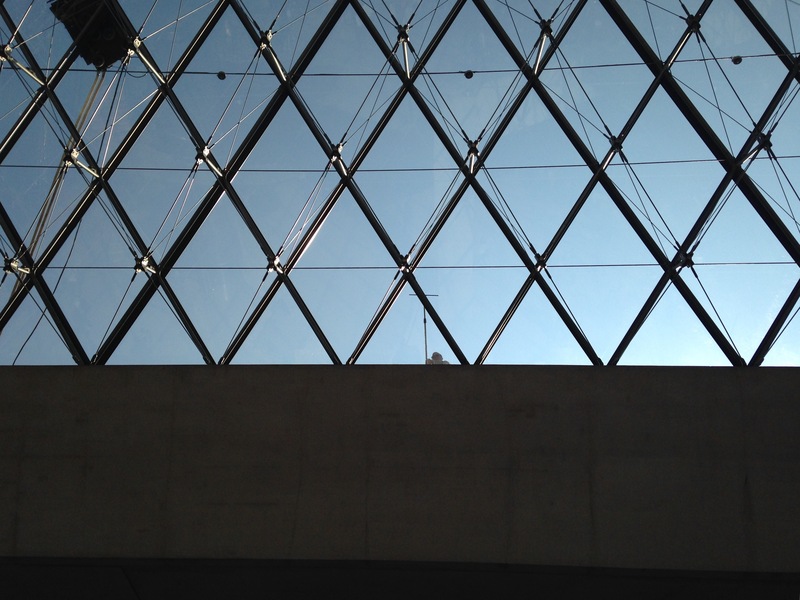 Okay, so he was probably regular sized, but looked quite small compared to the vastness of the glass pyramid. 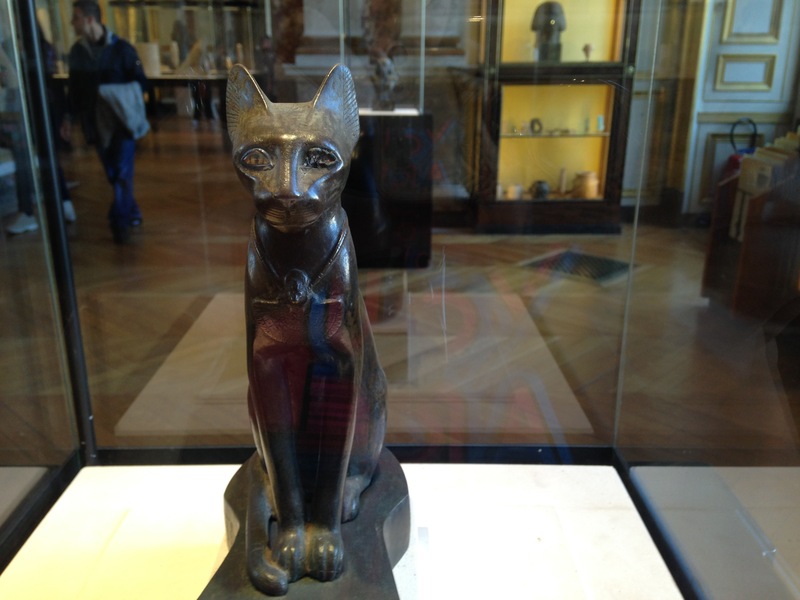 I’ll start off by saying that the Louvre was more amazing than I could have ever imagined. There was room after room after room of incredible sculptures and paintings and statues and antiques. I personally really loved this angel, even though she didn’t have a head. I wasn’t the only one who was impressed by her headless beauty. I can’t even imagine the skill sets it takes to create such beauty and depth. 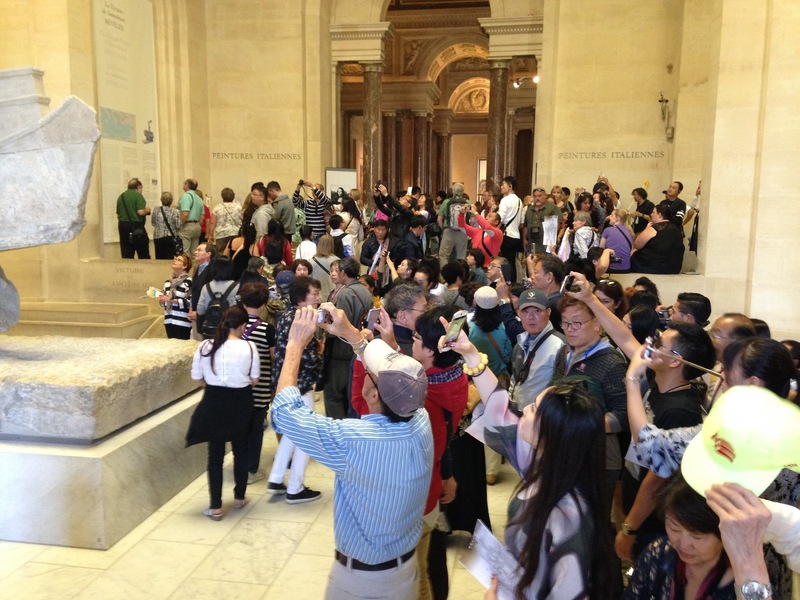 Also, it should be noted from this picture, that if you don’t like crowds, the Louvre is not for you. There were lots and lots of people all throughout the museum. As we moved through the rooms, we couldn’t help but notice that sometimes the beauty of the room was not only in the art, but in the rooms themselves. 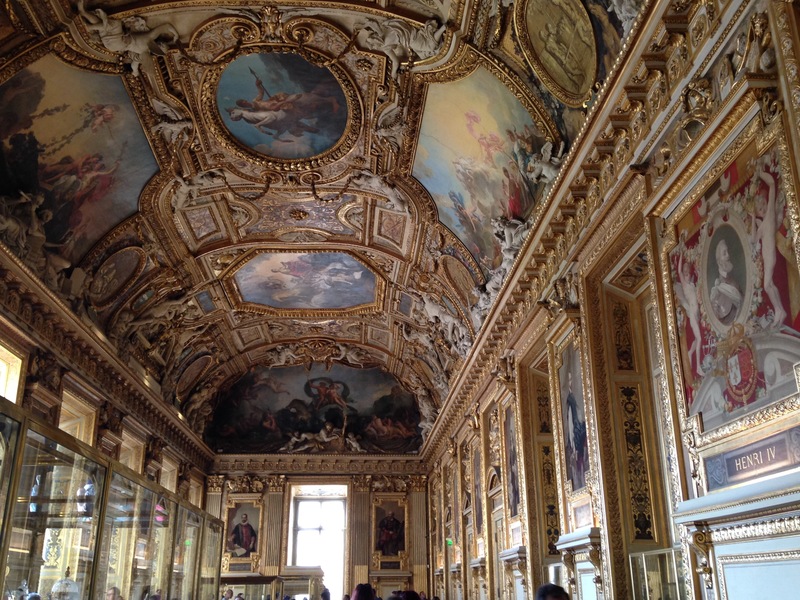 I guess at one time, the Louvre was a fortress and then a palace built for French royalty. I tried to imagine what it would be like to have this be your dining room. Pretty spectacular, right? A few more museum observations. 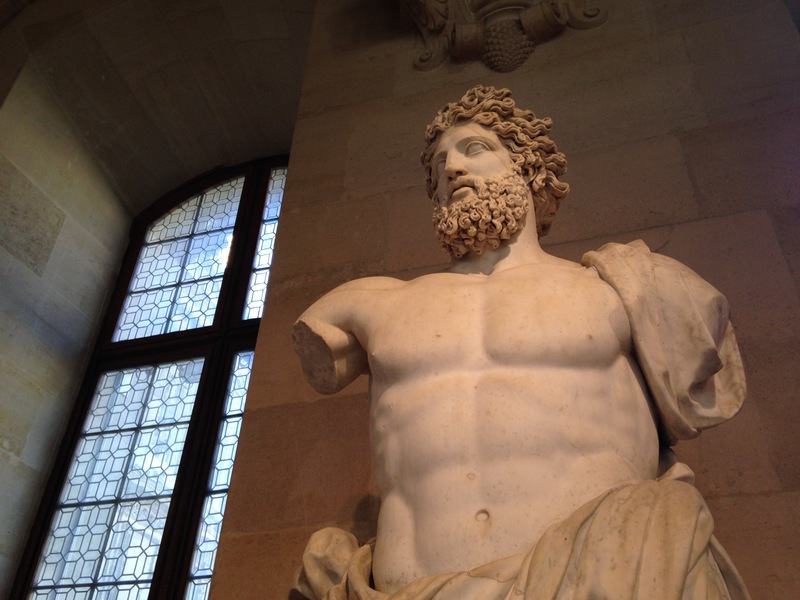 I personally always feel bad for the statues that are missing limbs. It seems to apply to lots of them. And do you ever wonder where all their hands and arms go? It’s a museum mystery, I suppose. Ellee told me she wanted me to bring her home a pet cat. When I saw this, I thought it would be perfect. This display reminded me of when I was growing up and our Barbies heads would randomly come off. 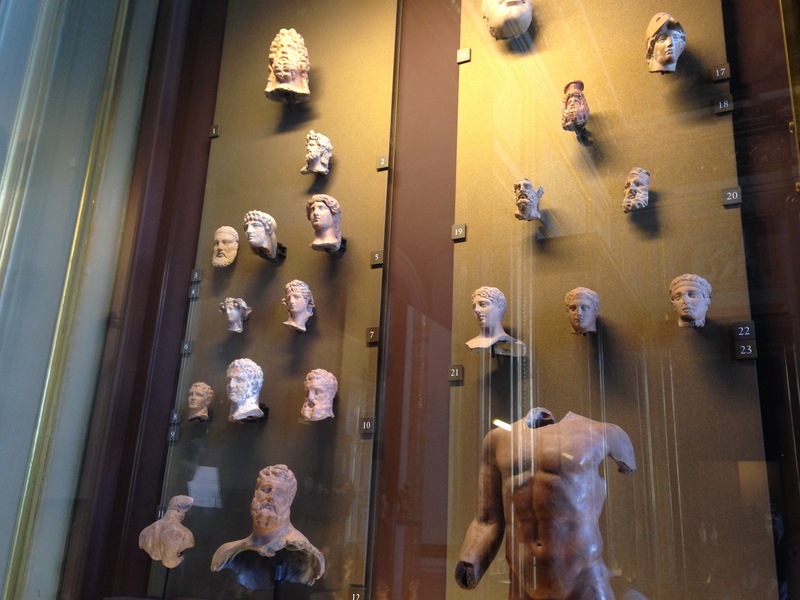 I wondered if it was someone’s ancient Barbies heads collection. 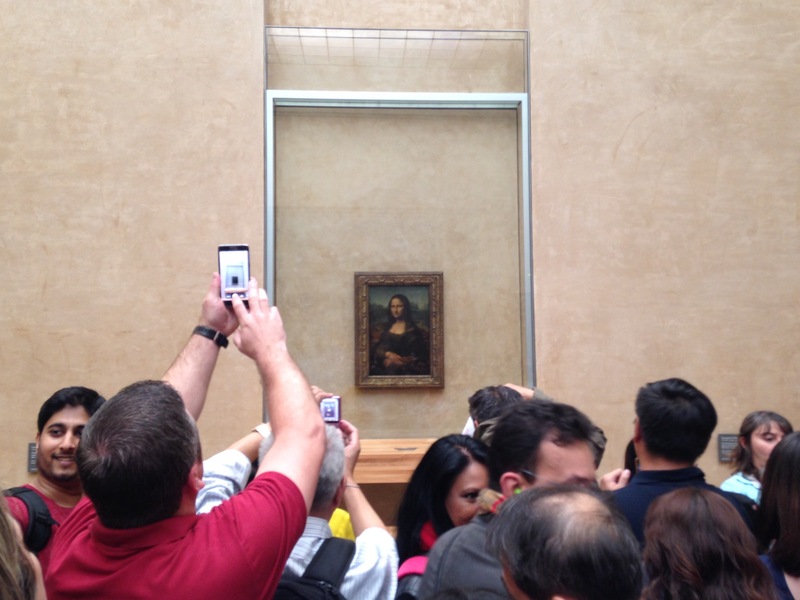 One of the highlights of the museum for most people is seeing the Mona Lisa. It was cool, though I couldn’t get close enough to check it out for fear of being squished to death by the crowd. 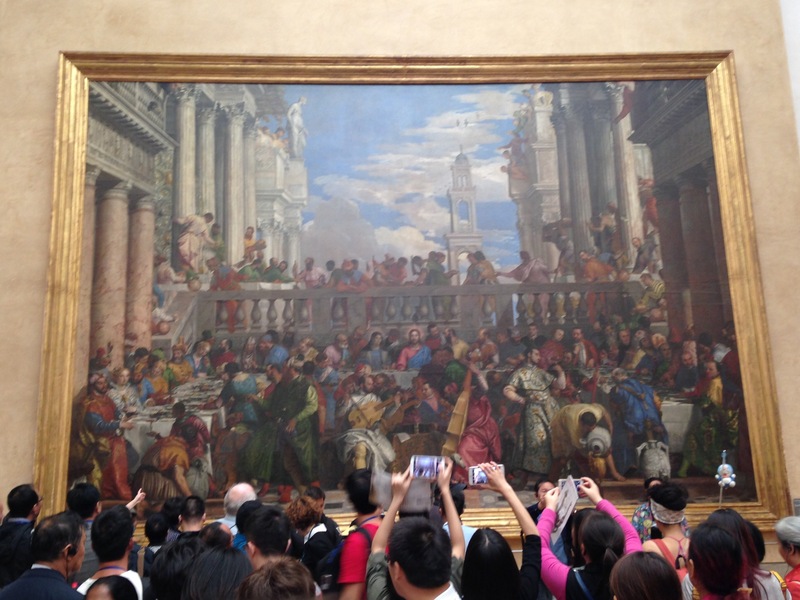 I personally enjoyed the painting right across from the Mona Lisa just as much. And that’s the thing with this museum. There was just so much art to appreciate and enjoy. 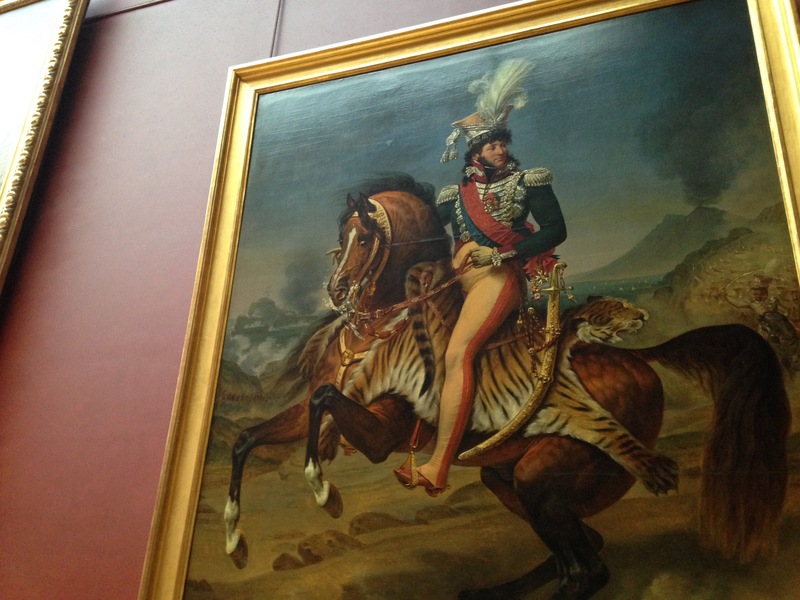 And finally, you have to feel you’ve made something of yourself in life, if someone paints you sitting gloriously on a tiger, on a horse. Life goals, right? 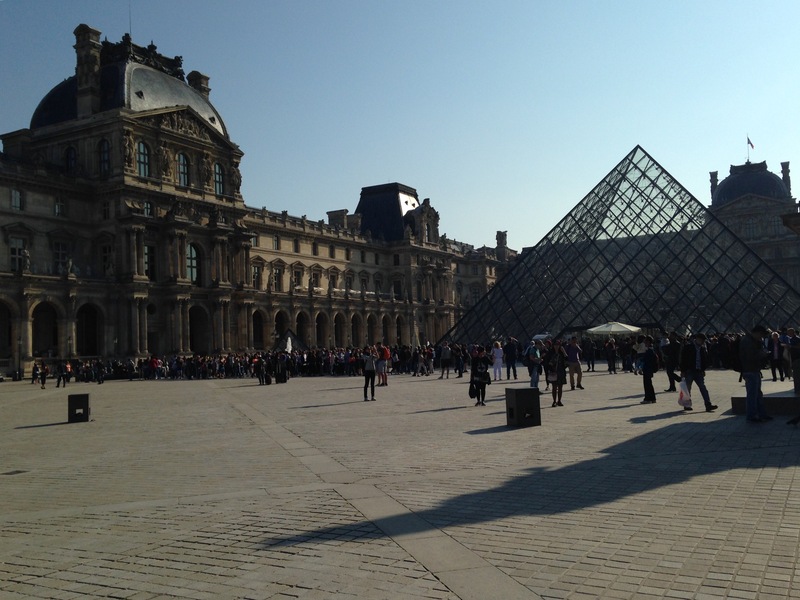 After a few hours of walking through the Louvre, we finished up and headed outside to take in the beautiful surroundings of the museum. We headed to our next destination on foot. We stopped by what we thought was a drinking fountain though Jeremy was quite skeptical and it was nearly impossible to drink from. 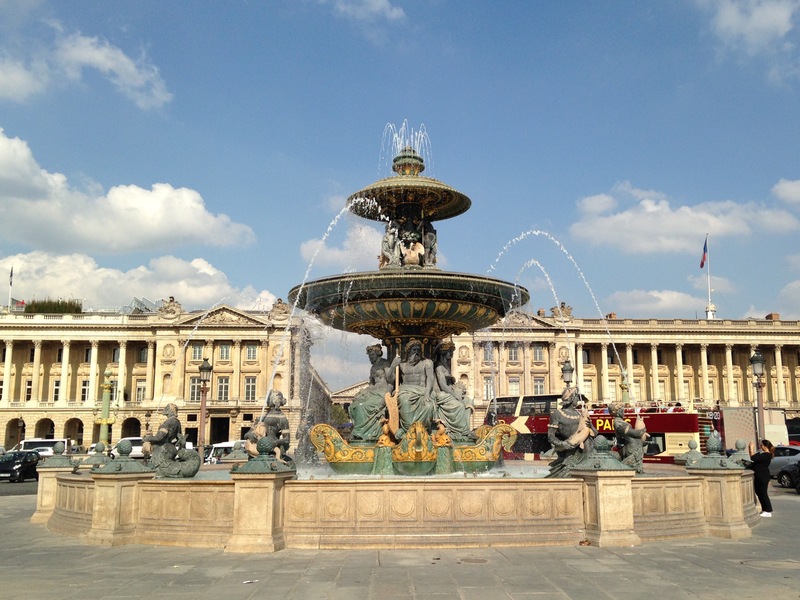 We walked and walked until we got to this fountain. 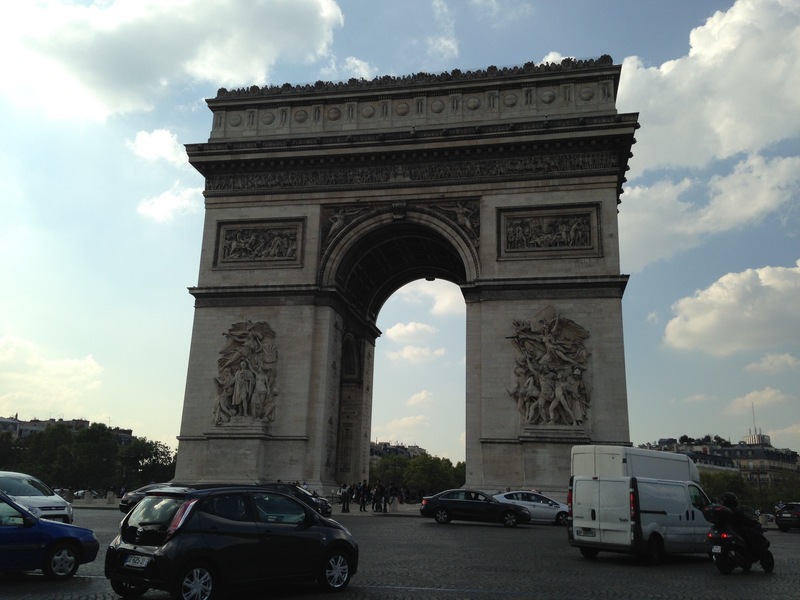 And then we walked some more till we reached the Arc de Triomphe. 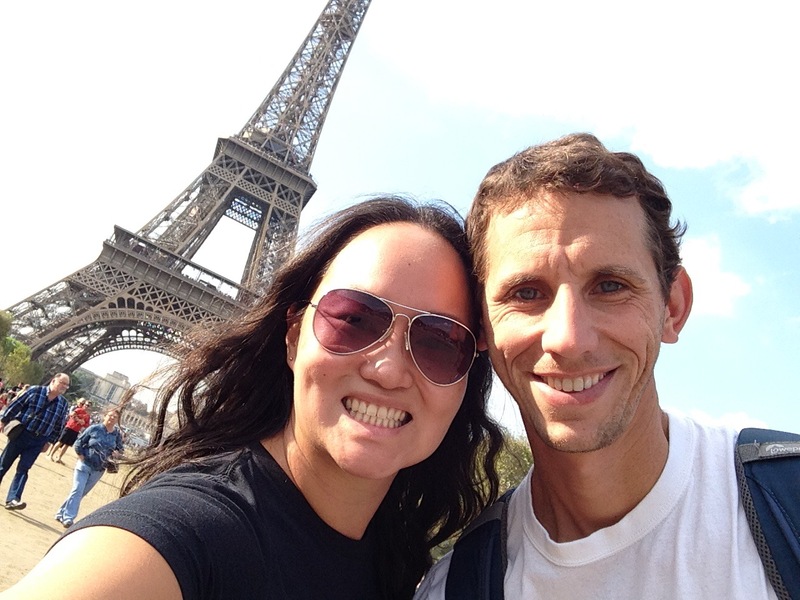 It’s an incredibly famous monument in Paris and known to our family for the times we’ve seen it featured on the Tour de France. And after that we took a break. Because my feet were so tired. 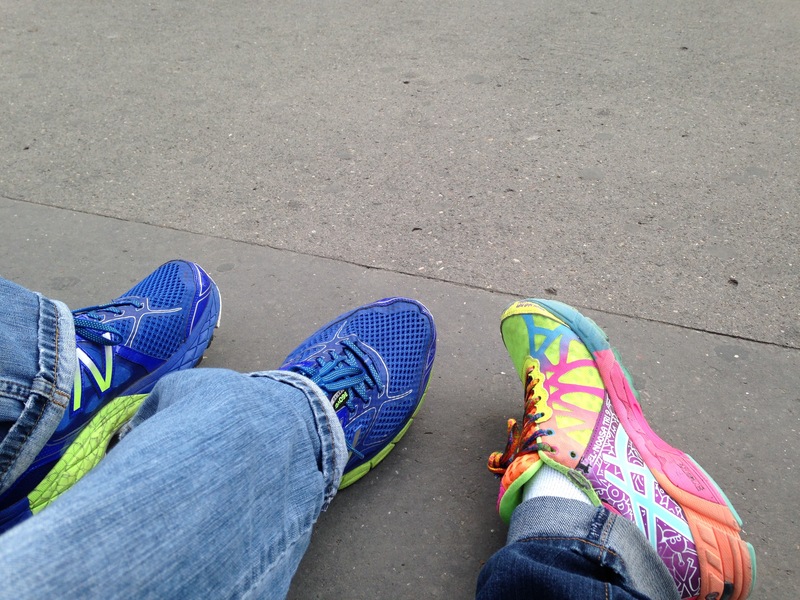 We probably walked a good fifty miles while in London and ended up walking another fourteen total today. We’re fans of walking, but I think it finally caught up with me. So we ended up taking the Metro to see this beauty. And I have to say, she was more spectacular in person. Standing under the Eiffel Tower we were both just amazed at the structural majesty and beauty of this monument. We asked kind strangers to take our picture with Jeremy’s nice camera, but we also took a quick one ourselves to commemorate the moment. 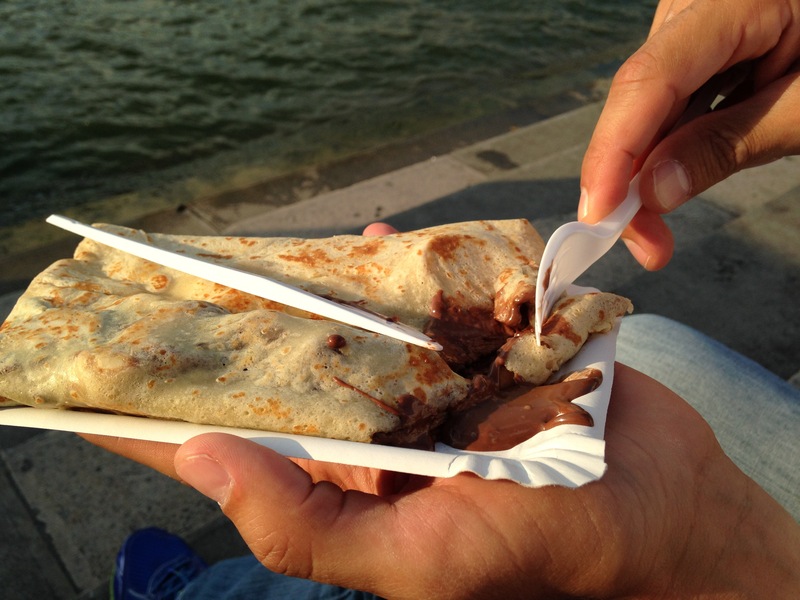 And then we bought a crepe and sat by the water in view of the tower and we made another memory and it was awesome. And then we began our long walk back to the hotel. We walked and we talked and then we found a fun (though not French) place to eat. I got spare ribs and Jeremy opted for a delicious burger. The food was delightful and thankfully close. Though afterwards, we decided to walk around a bit more, just because we were enjoying the night and our time together so much. And that sums up our first full day in Paris. It was long and amazing and fun and I have to say this city is just incredible. We are both so thankful to be here together and are heading to bed now. Thanks for stopping by and goodnight! Previous PostHangtime is Almost Here! 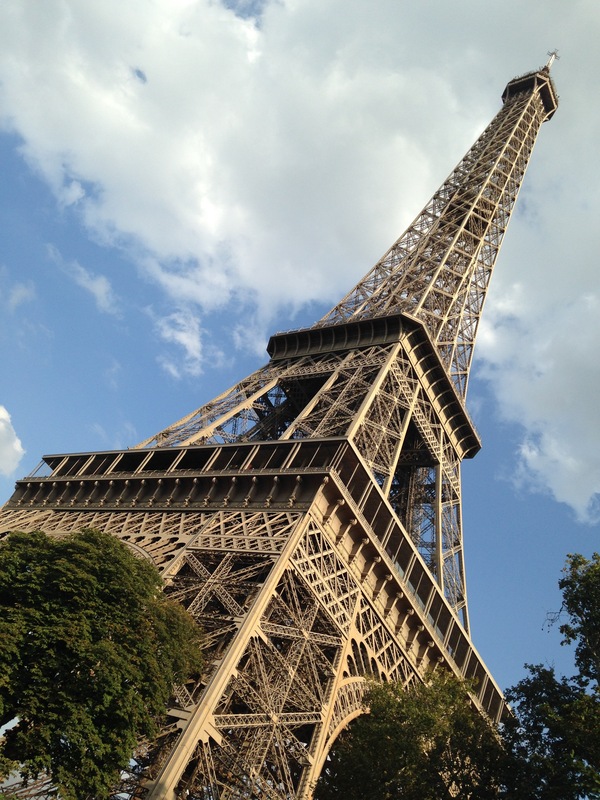 Paris is pretty amazing. The first time I was there it was the middle of a very cold January. So cold in fact that my boots would freeze to the sidewalks as I was walking! Nothing, however prepared me for the Louvre. Winter leaves the space desolately empty -which was a good thing. I will forever have the memory of entering the museum and like you mentioned the space itself so incredible- and then….there she was down that long arched corridor, filling the space with her incomplete beauty. I cried the entire walk to get to her. It was like a drawing in of my heart straight to hers, her enormity, her spirit, her connection to people thousands of years ago. 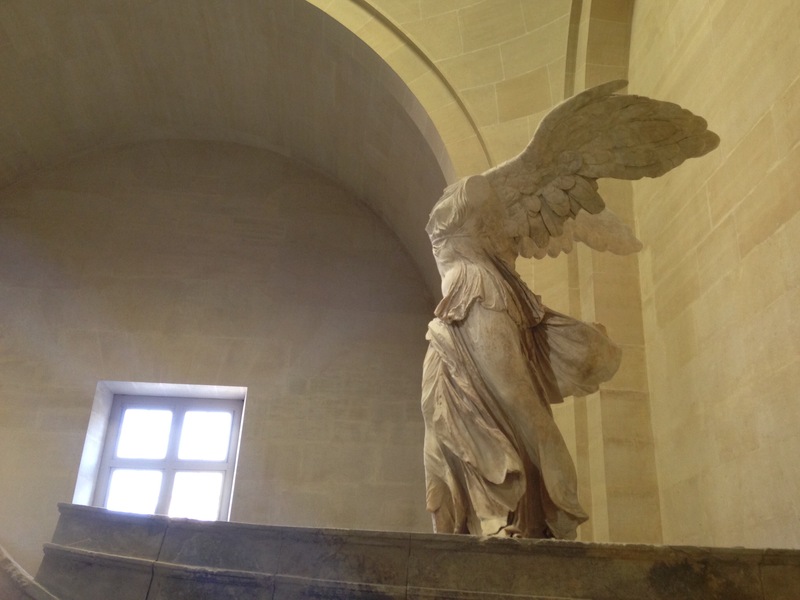 The Louvre holds more treasures than one can imagine, but Victory in her winged position, almost beckoning you is the one image I carry with me of that journey. I felt truly blessed to be there and her greeting me was a tangible acknowledgement of that blessing. Enjoy every moment together and safe travels.